Welcome to the Natural Super Kids’ website! This website is owned and operated by Jessica Donovan (ABN 14 445 285 972) trading as Natural Super Kids. 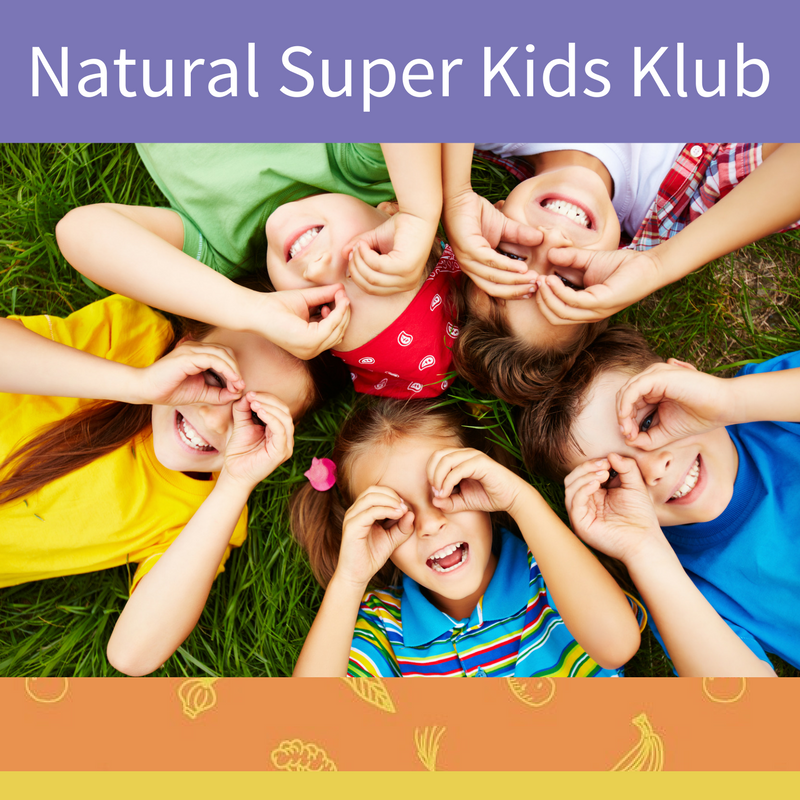 The Natural Super Kids’ website (Website) is a resource for busy mums (and dads!) helping them to navigate the confusing world of nutrition and health so their kids can thrive. The Website provides informative and instructional videos, blog posts, recipes, resources and even a membership-based online club (the NSK Klub). The NSK Klub provides even more extensive information to its members, from meal plans and recipes, to informative videos and resources as well as Facebook Live sessions with Jessica Donovan where members are able to ‘Ask the Naturopath’ their questions. While we try to make sure that everything on our Website is as up to date, complete and correct as possible, we’re only human and we do make mistakes. So, we don’t warrant or represent that any of the information on the Website is infallible, and we can’t accept responsibility or liability for any loss, damage, cost or expense you or anyone else might incur because you’ve relied on or used any of the Website content that’s out of date, incorrect or incomplete. Certain areas of our Website, such as our blog and the NSK Klub, allow for the submission of user content in the form of comments, questions or other submissions. Please note that we don’t pre-screen or review your content submissions. As we don’t pre-screen, there’s a chance that some of the user submitted content on our Website may not align with our brand values. We may also feature guest content from time to time (for example a guest blog post or a healthy lifestyle video from an external expert). We want you to know that we don’t necessarily endorse or support any views, opinions, standards or information expressed in any guest provided content. In saying that, if you find something offensive or inappropriate, please don’t hesitate to get in touch with us and we’ll review the material to see whether it should be removed. We try to make your experience on our Website as useful and seamless as possible. Occasionally, we might link to other websites that we think could help us do just that. Those websites will have information collated and presented by third-party businesses, organisations and individuals. Please note that we include these links for your convenience, however we don’t necessarily endorse or support the views, opinions, standards or information expressed on them. For your own safety, please make sure you check the protocols and standards of the linked websites before using them. Of course, because the linked websites are run by third parties, we can’t warrant or represent that any of the information on them is up to date, complete or correct. While we do our best to make sure we link to reputable sites, we can’t accept responsibility or liability for any loss, damage, cost or expense you or anyone else might incur because you’ve used or relied material on the linked websites. Our Website may contain links to websites maintained by an affiliate (Affiliate Links). If you click on an Affiliate Link and decide to purchase a good or service from them, we will receive a commission from our affiliate at no additional cost to you. We recommend our affiliates because they are helpful and useful, not because of the small commissions we make if you decide to buy something through the Affiliate Links. In saying that, we don’t guarantee the availability or suitability of any product or service advertised for sale on an affiliate’s website. You should make your own enquiries to ensure that any product or service is suitable for your personal circumstances. This Website is not a part of the Facebook website, Facebook Inc, YouTube, Instagram, Snapchat, Twitter or Google, nor is it endorsed by or affiliated with any of those websites or their owners in any way. We take pride in our work and in our Website and we take every care in collating and organising its content. That being said, our Website isn’t intended to be the ultimate and complete source of information on any topic, so we ask that you please not rely on it as such. Instead, use our Website for general information and conduct your own research and investigations to make such that you’re purchasing goods or services appropriate for your specific needs, objectives or circumstances. Nothing on our Website constitutes or substitutes for professional or medical advice. Whilst Jessica Donovan (the Naturopath behind Natural Super Kids) is a registered health practitioner, she is not your health practitioner. Any health advice given by Jessica Donovan (or by any other person through this Website) is based on that person’s opinion and their general professional experience, but not your specific case. As such, you should always seek the advice of your own health professionals before acting on something that is published or recommended on this Website. Some of our programs include instructional exercise videos. To reduce and avoid injury, please check with your health professionals before following any of our exercise videos. If you choose to use our exercise videos, you do so at your own risk. We will not be responsible or liable for any injury or harm you sustain as a result of our exercise videos. Please note that because of its nature as an online platform, we can’t warrant that our Site and its content will be available 24/7 or that it won’t be interrupted. communications) which may be transmitted to or through the Website. Where we can’t exclude liability but we can limit it, we limit it to the maximum extent permitted under section 64A of the Australian Consumer Law, as part of the Competition and Consumer Act 2010 (Cth). Please note that you have rights as a consumer under the Australian Consumer Law that cannot be excluded. Nothing in this Disclaimer is intended to affect those rights. You can read more about your rights here. When you use our Website, we’ll take it that you’ve read and agreed to these terms. If you don’t agree to our terms, unfortunately you can’t use the Website. If you have questions or concerns about our disclaimer, please don’t hesitate to get in contact with us.